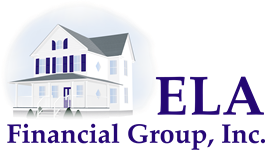 Ela Financial Group was established in 1984 with the vision to help clients prepare for their financial future. Since that time, we here at Ela Financial Group have been busy building a successful Financial Planning Practice, concentrating in the areas of Asset Management and Estate Settlement. We set ourselves apart by focusing on strong, long term client relationships. The heart of our firm is excellent, individualized and timely care of our client’s financial planning needs. We are a team of eight diligently working for our clients, to ensure that they receive the best possible service and care. This high number in staff is very rare in the financial services industry, but it clearly illustrates the importance we place on client service. Through the years, our practice has grown and prospered in large part to the many referrals we have received from our clientele. The time and resources we save in marketing allow me to spend more on staffing, and to spend more time meeting with and working for my clients. All in all, client referrals are the heart of our growth and success, while at the same time, as important to your growth and success through better service and care. Please use this form to refer us to individuals that you know, who may be business associates, personal friends, social contacts, or relatives, who would benefit from the services that we provide. All initial meetings are complimentary. We thank you for your loyalty to our firm and appreciate your referral.